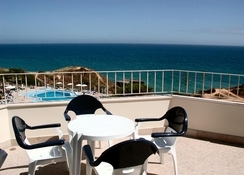 Nestled opposite the Albufeira Beach and Aveiros Beach, the Auramar Beach Resort offers comfortable accommodation. It comprises of lovely outdoor pools and lush green gardens. The guestrooms come in numerous categories to match the needs of solo travellers, couples, families and group of friends. The beach resort has a spectacular spa, allowing you to relax and rejuvenate. In addition, you can also enjoy a variety of games including billiards, table tennis, mini golf, etc. The hotel offers bicycles on rent as well. There also facilities for diving and snorkelling. Amenities at the beach resort include laundry, dry clean, engines service, currency exchange, bicycle rental, airport shuttle, fax and photocopy machine. 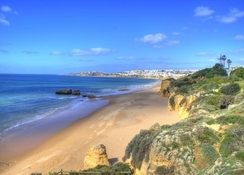 Auramar Beach Resort sits opposite the Albufeira and Aveiros Beaches in Portugal. It is within 1km from the Oura Beach, making it convenient for beach lovers and water sport enthusiasts. Faro Airport is the closest airport at 40km. 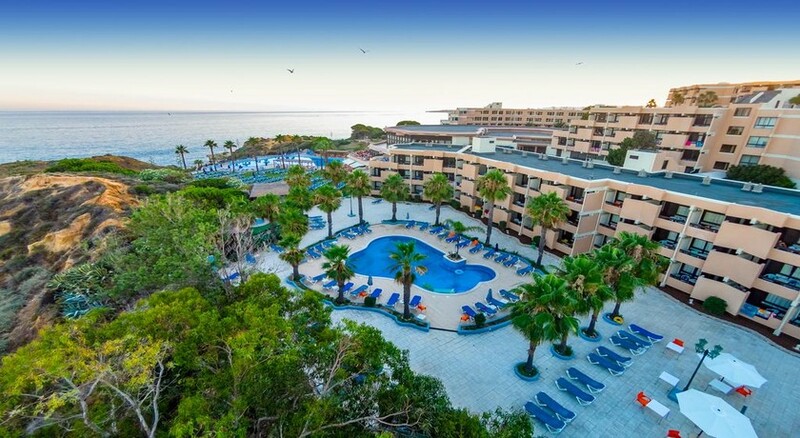 All the rooms in the resort are bright, white and airy, while offering fantastic views of the sea. Rooms are categorised as Single Room (Breakfast included), Twin Room (Breakfast included), Triple Room With Child (Breakfast included), Superior Twin Room (Breakfast included), Single Room (Half Board), Triple Room, Twin Room (Half Board), Single Room (all inclusive), Triple Room with Child (Half Board), Superior Twin Room (Half Board), Twin Room (all inclusive), Triple Room (Half Board), Triple Room with Child (all inclusive), Superior Twin Room (all inclusive) and Triple Room (all inclusive). All rooms come with the necessary amenities to make you feel at home. Some of the amenities in the rooms include air conditioning, multi-line phone, wake-up calls, housekeeping (daily), air conditioning, television, electronic keys, iron & ironing board (on request), balcony and much more. 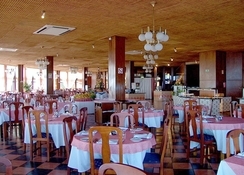 Auramar Beach Resort offers breakfast, lunch and dinner in the buffet restaurant. Those who want to drink with live entertainment can go to the Dancing Bar, where you can enjoy beers, house wine, national alcoholic drinks, mineral water, soft drinks, tea and coffee served without any quantity limitations from 11am to 11pm. 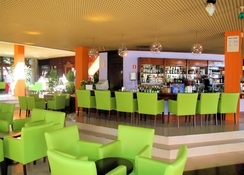 The pool snack bar serves snacks from 11am to 5pm while the main restaurant serves from 10am to 11pm. There is a wealth of sport and entertainment facilities to keep guests engaged throughout the day. 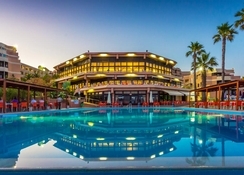 Some of the indoor/outdoor facilities include two outdoor swimming pools for adults, two outdoor pools for children, one indoor heated pool, two tennis courts, steam room, Turkish bath, massage room, playroom, playground, billiards, table tennis, bicycle rental, diving, snorkelling, mini golf, animation program and tennis (additional charges). Hotel does not accept Stag/Hen parties on any dates, for groups of 4 or more adults. The hotel has the right to charge up to 250 € per person for security deposit. A lovely hotel, very cultural to the country, lots of great facilities, friendly staff at service 24 hours a day and the food is amazing!! Rooms a little dated but great price. A fantastic location too, not too hustle and bustle not too out of the way only 10 min bus ride (which is free) to the old town or a 30 minutes walk along the beach. We had a loverly stay. I am gluten free and the restaurant staff were really helpful. Perfect location, on the beach, a 5-10 minute walk from the strip and a 30 minute walk along the beach to the old town. Food was great, staff were very helpful. Value for money was perfect. We went out of season to avoid the heat. It's also cheaper and not as full so mealtimes are a lot calmer. The staff were great and there always seemed to be something to do in the evenings. Because of the massive selection of food, there was always something that we liked. I don't know how common it is but there was a shop on the ground floor of the hotel which was really useful. I must have a decent cup of tea wherever I am in the world and that wasn't a problem. If you wanted to, you could live in the hotel for the entire stay. We thoroughly enjoyed our holiday at the Auramar Beach Resort in Portugal. The food was fresh and lovely.